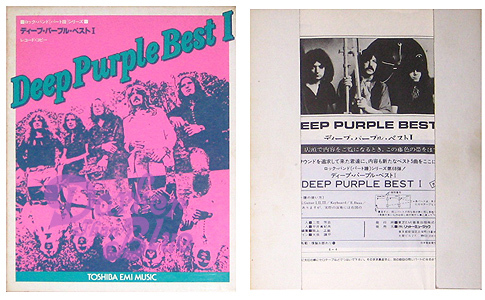 There have been lots of Deep Purple sheet music editions published over the years, it’s about time we started cataloguing some. These are all long out of print. Pub : Japan C1975. Burn / Mistreated / Strange Kind Of Woman / Lady Double Dealer. Parts for vox / gtr / kybd / bass. Loose sheets housed in a card wallet.